What’s Going On At The Mill? When the Colvin Run Mill Historic Site first opened to the public in 1972, it was the culmination of over four years of exhausting preservation, restoration and recreation efforts. Thanks to the hard work and craftsmanship of many individuals, the mill proudly featured an operational pair of millstones capable of grinding grains. Now, some 42 years after that date, the rest of the mill is being restored. Based on the designs of the mechanical genius Oliver Evans, the Colvin Run Mill Restoration Project will complete the work started during the Nixon administration. With functioning grain elevators, wooden line shafts, grain cleaners and product sifters, the fully restored mill will stand as living testament to America’s industrial infancy, all the while producing wheat flour and cornmeal as it did over 200 years ago. The massive oak timbers and hand-crafted gears of the mill will once again provide a working link between the past, present and future of Fairfax County. Leading the team on this monumental project is Ben Hassett, America’s only classically trained millwright (mill restoration specialist). Together with our miller, Mason Maddox, and the rest of the mill’s professional and volunteer staff, this expert assemblage has but one common goal – to make Colvin Run Mill the finest working example of federal period technology anywhere. Funded in part by a Partners in Preservation grant from American Express and the National Trust for Historic Preservation, this exciting work started in January and has an anticipated completion date of November 2014. During that time, special tours featuring not only the history of the mill but also the restoration work in progress will be given. Author Mike Henry is the site administrator for Colvin Run Mill Historic Site. The mill is supported by the efforts of the Friends of Colvin Run Mill. 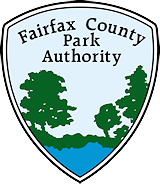 This entry was posted in Uncategorized and tagged Colvin Run Mill Historic Site, Cultural Stewardship, Great Falls, Historic Preservation, Partners in Preservation on February 24, 2014 by Fairfax County Park Authority.